This Amish Waterfall hope chest is heirloom American made furniture! 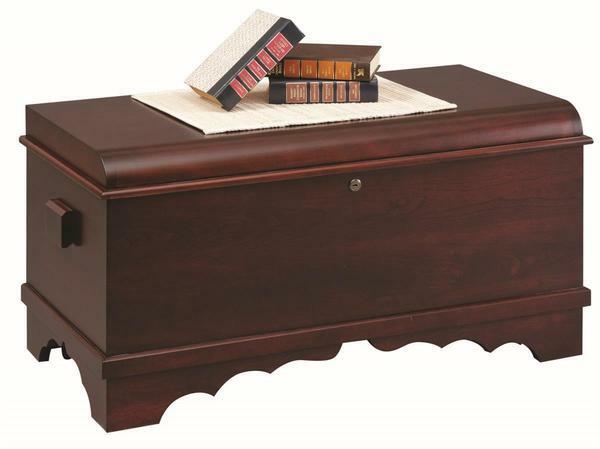 The rounded top and scalloped foot make for a beautiful Amish chest. We offer a wide variety of options to customize the look of your chest. This chest comes standard with a cedar bottom, castors and lock. Full cedar lining is also available.